Now that we’ve turned the clocks back, the evenings have become shorter. 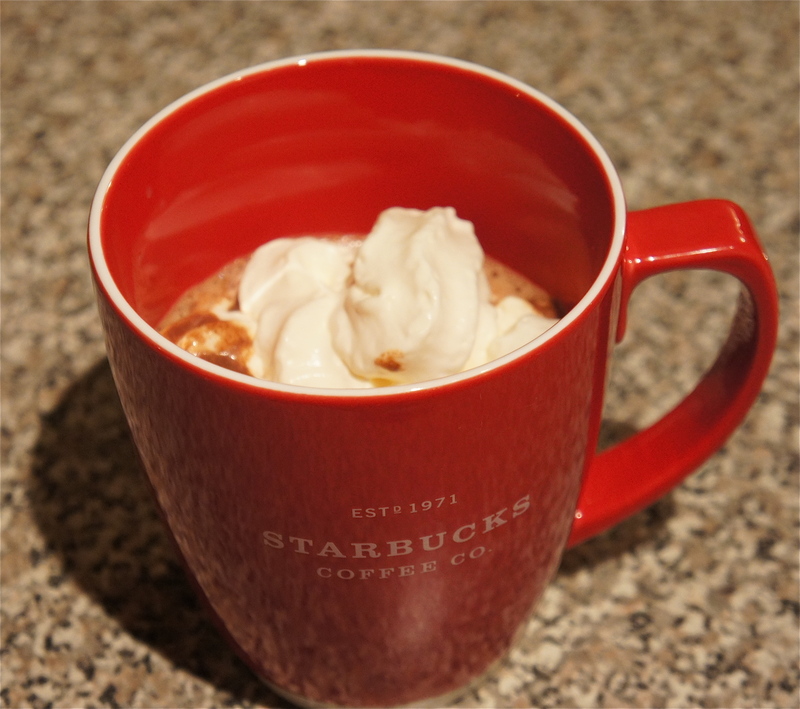 All I want to do is curl under a blanket with my favorite indulgence of the colder seasons: hot chocolate. 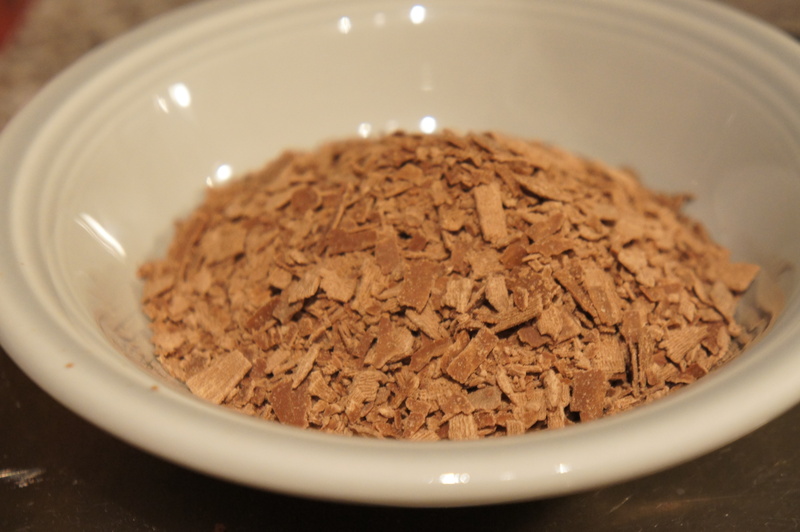 I’m not talking Nestle mixes or cocoa powder. I drink the real deal. 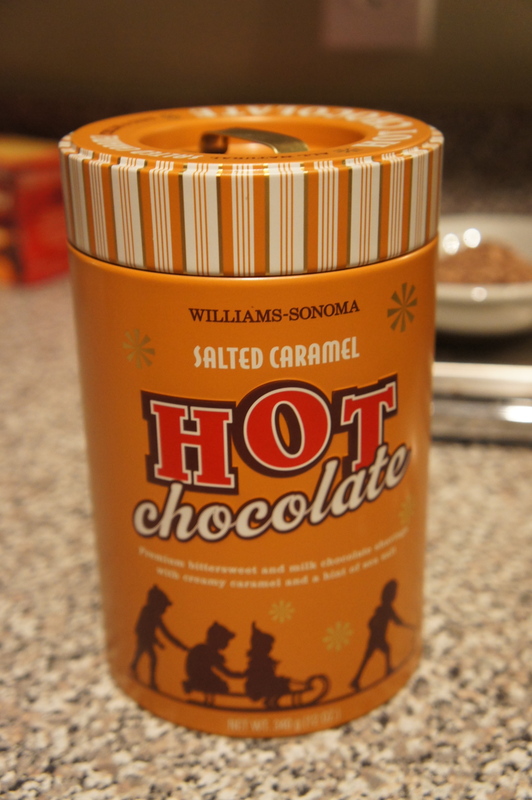 From my days at Williams Sonoma, I became hooked on their holiday hot chocolates. Made with Guittard shaved chocolate, the drinks are joy in a cup. I still religiously stalk their website and enjoy the catalogs like cookware bibles. Imagine my elation when I saw they had added a new flavor, and not just any flavor, SALTED CARAMEL. It’s strange. I’m not a huge caramel person but add the word salted and I treat it like crack. One of my all-time favorite desserts is the Salted Caramel Budino at Barbuzzo in Philadelphia. This hot chocolate brings back fond memories of that. The perfect balance of salty, sweet, and chocolatey. I think you pretty much just summed up the most perfect hot chocolate. I actually almost bought the same william sonoma mix. I think I’ll go back and get it!